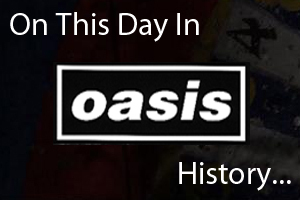 On February 8th 1998 Oasis played at the Fox Theatre in Atlanta, USA. A member of Cornershop joined Noel onstage for an excellent acoustic performance of 'Fade-In-Out'. On February 8th 2000 Liam Gallagher appeared on the Big Breakfast and answered a number of questions sent in from fans and more.